This game was made for Relic Castle's game jam #1 which ran from June 30th - August 10th 2015. It was my first time releasing a game, and there were a lot of bugs and dev errors that made the game unplayable and impossible to complete...but for some reason people liked it, so here is a version that has many fewer bugs than the original. 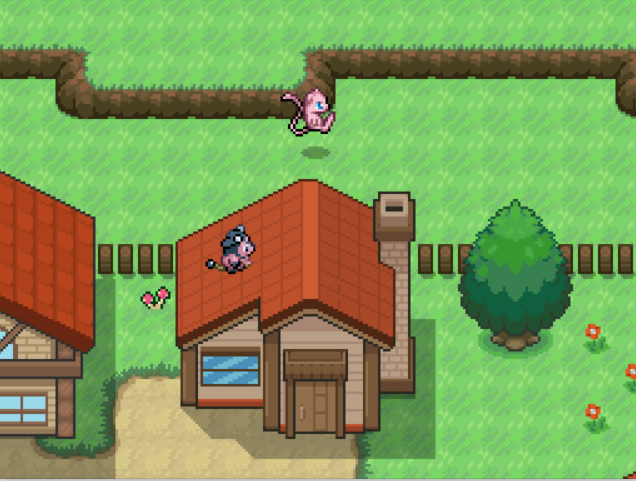 MewYou is a game where you get to play as Mew! Most of the story involves trying to avoid being captured by humans, but for the most part you get to pick your battles! Being a jam game, it's pretty short and simple so I'll leave it there. Buizel is your first partner, but your second is determined by what items you find during your journey! 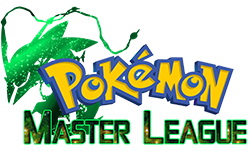 The partners are ranked this way just because of how Celebi checks for items in your bag. If you have any of the Normal items you get to choose from the Normal tier partners. All these items are rocks that are scattered about in the overworld. If you're carrying none of the normal items, Celebi then checks for Gold tier ones. These items are less obvious so are easy to miss if you don't know what to look for. If you're not carrying any items that can be given life, you get the Last tier partner. This game was made for a jam, and one of the rules was that any resources I make become public. 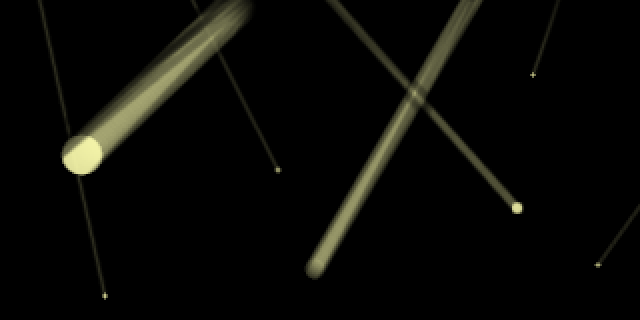 I mostly used public resources myself, but here's what I did make: some fogs! You're free to use/edit any of these, no credit required. Q:What should I name Mew? A:There are a couple special names that you can try entering. These are case sensitive. Q:How do I get a certain partner? A:When Celebi asks you to offer an item, the list is different depending on what you have. If you have any stones, the "Normal Tier" list will be shown. If you have none of the items from the Normal Tier, Celebi checks for rare items next and you can choose a partner from the "Gold Tier". If you're holding none of the items from either of those lists, there's a Special Tier Partner that you'll get automatically. After the first life wave, you can approach the tree and get another partner. This time the options have been extended a little, but it still has the same priorities. Later, when talking to Celebi to get another partner, she uses the extended list. Q:Are you going to fix this bug I found? My copy is corrupted, so trying to edit anything at this point is a pain and only breaks tons of other things that were working fine before. I'm not willing to risk breaking the game just to fix a sprite that's a little too low in battle, or a single tile that can't be walked on for some reason. I'm sorry about the level curve being too harsh in places. When I designed it I thought I was compensating for Mew's power and encouraging the more stealth aspect of the game, but if I wanted players to never battle I should have made the final battle optional somehow. Q: What is Andante mode? A: When I made the game I was partially inspired by a friend's RP/Ask blog (ask-andante.tumblr), which focuses on a mew named Andante. If you name your character Andante when starting the game, you'll play as him (a poorly written OOC version) instead of the normal mew character. The differences are that Andante talks, some NPCs are replaced for cameo purposes, and he has different partners. Note: This mode isn't supported anymore and probably contains game breaking bugs. Q: Did Andante mode also get fixed/finished? A: No. It's still included in the game because he and his mun were part of the inspiration to make a mew game, and I still want to honor them with a nod even if I'm looking back and cringing at how poorly I actually did it. This mode isn't supported anymore and probably contains game breaking bugs. A: Yes, that's what I was implying. I think the time-travelling guardian of the forest and the deer who spends years sleeping as a tree would make good friends. The use of "xe" was specifically placed in the sentence so it could be either a nickname for Xerneas, or as a genderless pronoun for Xerneas; interpret that in whichever way you prefer. Q: Why do trainer's pokemon say they're wild? A: It's one part Mew doesn't really care about the trainer during battles, and one part having it be a wild battle avoids the awkwardness of "Mew sent out Mew!" that's programmed to happen during trainer battles. This also allows the trainers to actually use moves that end the battle (something like roar doesn't fail), which ina trainer battle would have no effect. Q: Why can't I run from battles?! A: Because you can see wild enoucounters, so the running should happen before the battle. That said I think some of them might be moving too fast to avoid, which was something I did because my old computer lagged so much that I needed that speed setting to tell that they were moving at all. I'm sorry but I think they've all been fixed in the latest updates. Q: Why is Celebi so annoying/confusing? A: A lot of your interactions with her happen when she is pretty young. She's excitable, and inexperienced, and bossy, and her older selves are sorry about that. Q: Why is Mewtwo in my party after beating the game? Is there more content? Can I use Mewtwo? A: There is no hidden or extra content where you can use Mewtwo. I added it to the party at the end so it's immediately obvious when booting up the save file that the game has been completed. I'm lazy okay? When I'm being an Admin checking save files to make sure some has earned a badge, I allways have to download and play that person's copy of the game. I open up the bag to check for key items, or walk myself to the nearest PC and scour the boxes for a certain endgame pokemon. For MewYou, boot up the game and I can see the person completed it. Easy. Lazy. Q: Is the game going to be made longer? A: No. I told the whole story I wanted to tell so making it longer would mean me shoving filler in somewhere...which I don't wanna do. Q: When is the sequel coming out? Will I get to play as Mewtwo? A: I never planned to make a sequel. Due to the insane amount of attention MewYou has gotten though...I did start experimenting with some abilities Mew has that were neglected in MewYou. Mew is still the main playable character though, not Mewtwo. This game was mostly developed by me, but there's a lot of people who helped to make this game possible. Pokemon Essentials Kit by Poccil, Flameguru, and Maruno. Nintendo, you know what you did! Thanks for Pokemon! Kied, for not just bug testing but showing me so many ways to make the game better. Version 2.0 and up are as good as they are because of you. For letting me look over your shoulder as you encountered all those bugs. For letting me write Andante in (even if he's out of character sometimes, sorry!) and for inspiring me to make a game starring Mew! For all the support, encouragement, and feedback that everyone has given me so far-THANK YOU EVERYONE! 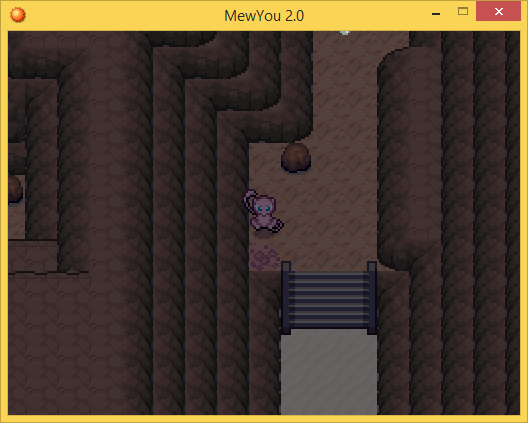 Here is the latest download of MewYou. Not sure which version you have? 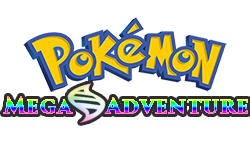 The newest one is 2.6 and it will say so on the title screen. If you beat the game already, here's how to get The Mew Badge! This looks so good! And that Mew Sprite is adorable! Woho so nice idea ! When I initially posted it wasn't really because I wanted to, but because people still ask about MewYou and if I'd fix it...so I lazilly posted what I had because the biggest buggy area was fixed and Relic was getting a reboot so it seemed like a good time (Sorry if you played it). Kied played through the game just to see if it was worth moving to the Showcase, and he did such a thorough job of pointing out bugs and making suggestions that I really wanted to show the same level of effort. Anyway, if I have the time to work on it hopefully MewYou can be out again soon. I think now I mostly just have some passability issues to fix, and then I've gotta run a start to finish playtest. Got rid of the old way of peeking through windows, which used a fog. That caused some clipping problems around the edges of buildings. Now the peeking through windows is done through map transfers, so although there may be slight continuity errors with moving characters that are visible on screen when transferring, it's an overall cleaner process. Gave Celebi a custom text color instead of the default green, which nobody liked. Went in and changed some other text colors as well. Fixed all the hidden items so that they can be picked up from the side instead of having to stand on top of them. Gutted some of the Andante stuff because it was making events more complex than necessary. Andante was out of character and the mode wasn't properly finished anyway, so I took out the initial switch that triggered the mode. Added an animation when examining rocks so that it's much more clear what's happening there. Remapped the areas with the most problems. I'm still having issues with passability right at this moment, but at least it's the kind where you can go places you're not supposed to, instead of being blocked from places you're supposed to be able to get to. Fixed all the map transfers for the 47th time. Went through every event running ExtendText and fixed the script calls. I don't think they were causing any errors before, but they at least look cleaner now if nothing else. Nerfed the levels of everything by 5-10 starting at about the halfway point of the game. Added a conditional branch to double battles that wasn't there before. Now if you don't have enough party members for a double, it will proceed with a single battle instead of just crashing. And here's me tweeting a pic of the same area. Wow, Aki! It looks really amazing. I love the detail you've put into all of the sprites, and how many there are. Can't wait for all the bugs to be fixed and good luck with the rest of the game. Alright, I think MewYou is ready to play again. If you've got an old version of the game (I'm sorry) go ahead and delete it, as the new version isn't compatible. Thanks for telling me Kamon! I also watched Evan's stream and fixed up some things I saw there, so the download link has been updated now. Moved that rock; actually re-wrote the event too just to make doubly sure it works. A common event for looking at doors was calling the wrong one. Not a bug that affected the game in any way, just weird! Recolored some text I missed. I've updated the main post but if you don't feel like scrolling back, here's the new 2.1 version with these changes. So I finished the game, and as is proper fashion (and my personal rule) I want to let you know my thoughts! 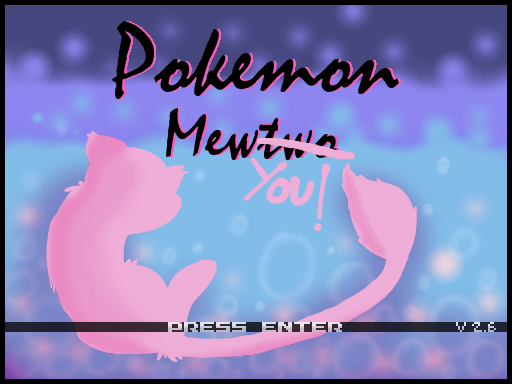 I think MewYou is an absolutely fantastic game, and it was the concept that definitely hooked me at first. I love the interesting new mechanics, they were quick and easy to get. Clearly there are still some bugs to work out but as an overall experience(s) I had a ton of fun. I loved the standard that pink Pokemon heal you and cat Pokemon sold you stuff. All in all it was a lovely game, and I would really like to learn more about the backstory with Celebi and the secret service trying to capture Mew! Keep it up, this was a really fun and creative game! Fixed the Celebi event in the ??? map to teleport to the correct place. This event was required in order to leave the area/beat the game, because it's just an optional cutscene! But anyway it works now. Edit: Same day I've uploaded this, I get a message on Tumblr asking about unlocking certain partners. I'm now aware there's an error in the event that skips over Gold Tier partners even if you offer a correct item; instead you get the Last Tier partner. If you have suggestions for more items that should be turned into pokemon, post the logic behind them and I'll add as many as I can in the next update. The big change this time was all about party members. Now there's at least 1 item on each map that could be turned into a partner (before Sacred Island Grove of course, maps after don't apply) The new partners are listed in the top post of the thread with the others if you want to find out what they are. If you're looking for more info, check the spoiler in my last post that describes which item corresponds with which partner; the list doesn't include the...12? newly added partners but does list some that are technically new since they were included but not available before. Fixed an error which caused Celebi to ignore all the Gold Tier partners even when the correct item was offered. Added a bunch of new partners! That means more rocks and more other stuff to be collected. 2 specific hidden items were swapped for different items; kept them hidden in the same spot. Hey, that was me! As in I was the twit that messaged you on tumblr, haha. I'm excited to figure out how to unlock all these other new partners! So many amazing touches in this! From big things like the storyline, the party system (so many items besides just fossils, I was surprised! And immediately began soft resetting to figure out all of them), and the whole world of Pokemon you can explore (the Valley Lake map is absolutely incredible to explore) to little things like ice cream recipes and friendly pink Pokemon, it's really a pleasure to play! And the personalities of your companions make for very fun dialogue! I noticed a really small thing, though-it looks like the roof of this building is actually passable, letting some mischievous Pokemon on top. I guess we can't call it "ground" beef anymore. Just one more stupid person. Hey, I think I found a bug. When I used Metronome with Mew, the move it picked was also Metronome and than it became an infinite loop of Metronome picking Metronome again and again. You should make it impossible for Metronome to pick Metronome. Oh lol yeah I ran into a similar bug where I had Mew use metronome and Illumise used encore and it trapped me in a loop of metronome forever. From that moment on I just used Psychic instead, works regardless. How do I install this? This is the first time I've tried playing one of these fan games or Rom Hacks.